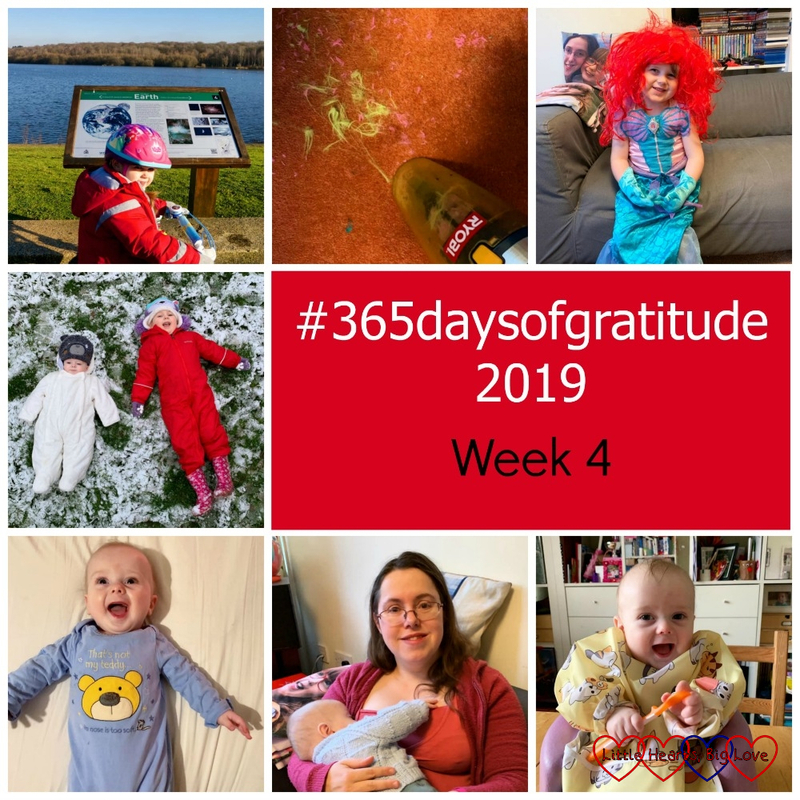 For three years, I have taken part in a daily gratitude challenge, sharing a photo of one thing I am thankful for each day on Instagram. There have been days when finding little things to be grateful for has been very easy to do and others when it has been incredibly hard. Life as a bereaved parent is quite a rollercoaster at times. There have been many moments when I don’t feel grateful for anything at all – just broken and bruised. However, looking for those little moments has helped me even on the darkest of days. Hard though it may be at times, I have always managed to find something to be thankful for. Day 20 – I am grateful for a lovely walk around Ruislip Lido and an opportunity for Sophie to get out on her bike. Day 21 – I am grateful for our hand-held vacuum cleaner after Sophie decided to play hairdresser with one of her soft toys. Day 22 – I am grateful for the bag of dress-up outfits that have kindly been passed on to us for Sophie. She loves them! Day 23 – I am grateful for time to play in the snow before school. Day 24 – I am grateful for fluffy baby hair and the gorgeous smell of a freshly-bathed baby. Day 25 – I am grateful for breastfeeding. For six months this little boy has grown and thrived on mummy milk alone. Tomorrow he will have his first tastes of solid food. Day 26 – I am grateful that Thomas enjoyed his first taste of solid food. Puréed parsnip was a definite hit! Isn’t it something we all do, I’m sure I cut my Trolls hair when I was a little girl. Handheld hoovers are great though aren’t they, so much easier than lugging a our Henry around the house for small messes.